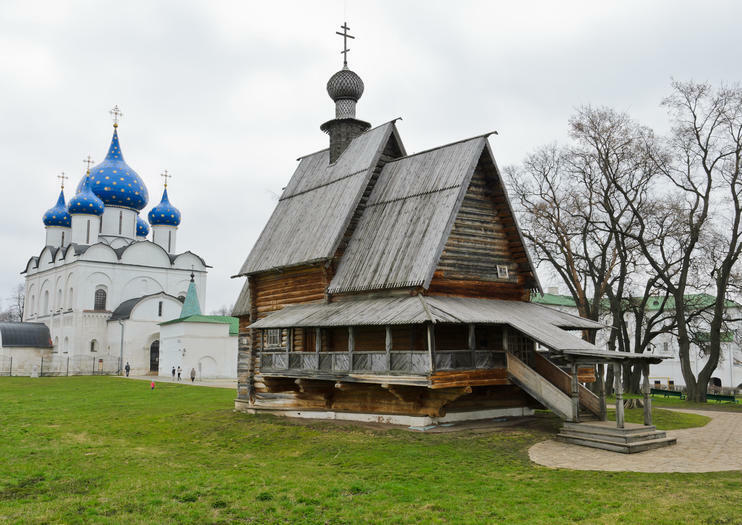 Northeast of Moscow, the picturesque towns of the Golden Ring trace their histories to the early days of the Russian Orthodox Church. Whether you have a day or more to explore their beautiful kremlins, ancient monasteries, and onion-domed churches, here are your options. Make the most of your time by taking a full-day private tour to the UNESCO World Heritage Sites of Vladimir and Suzdal, two of the most charming towns in the Golden Ring. Alternatively, spend the day with a private tour guide in Sergiev Posad, visiting the famous Trinity Lavra Monastery and stopping at the 19th-century Abramtsevo Estate on your way back to Moscow. Take a deep dive into Russian history and Russian culture by taking a multi-day tour that includes stops in up to seven ancient towns in the Golden Ring. Enjoy city tours of areas such as Vladimir, Suzdal, Kostroma, Yaroslavl, Rostov-Veliky, Pereyaslavl-Zalessky, and Sergiev Posad, and enjoy overnight stays in some of these fascinating cities. With a pre-booked guided tour, you won’t have to worry about the hassle of transportation or planning this extended trip. Both full-day and multi-day tours depart from and return to centrally located Moscow hotels. Sergiev Posad is just over an hour's drive from Moscow, Vladimir is a 3-hour drive, and Suzdal is 3.5 hours away by road. Tours typically include the opportunity to try traditional Russian cuisine, usually at your own expense. Full-day trips generally last nine to 14 hours. Art and culture enthusiasts will enjoy this day tour on the Golden Ring, from Moscow. You’ll visit a number of places that are important in the history, culture, arts, and literature of Russia. Try your hand at some traditional arts and crafts, enjoy a walking tour, sample Russian food, experience an Orthodox church service, and more. This tour packs a variety of interesting experiences into a single day. Get out of Moscow and travel to Sergiev Posad, one of the oldest cities on the Golden Ring, without the hassle of driving or planning public transport. Visit the UNESCO-listed Troitse-Sergieva Lavra (spiritual home of the Russian Orthodox Church) with a guide to learn about the monastery's rich history, then enjoy some free time to explore independently.